As Europe's political climate is increasingly defined by an assurgent left populism, we re-publish Razmig Keucheyan's discussion of political theorist Ernesto Laclau, whose theoretical legacy is a critical engagement with this problematic realised today in Greece and Spain. 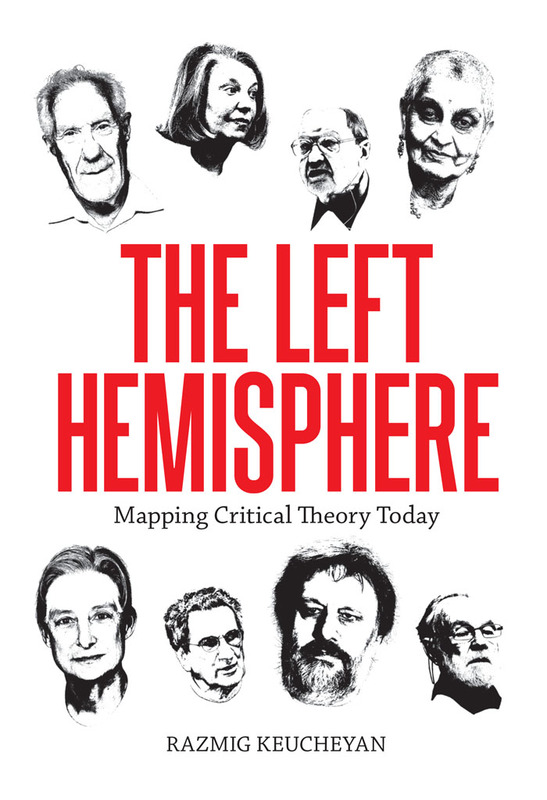 This piece was originally published in Keucheyan's cartography of the contemporary world's leading critical thinkers; The Left Hemisphere: Mapping Critical Thinking Today. 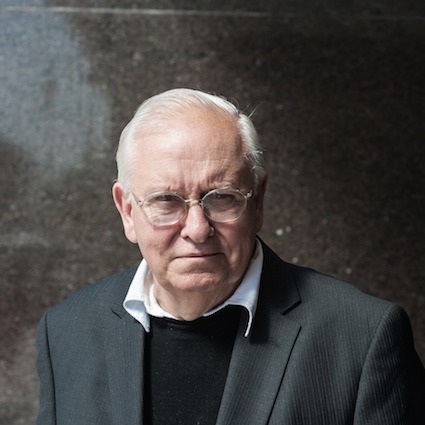 Argentinian by origin, professor of political theory at Essex University in England, Ernesto Laclau has developed an approach to the political based on the notion of ‘antagonism’, regarded as constituting both the foundation and the boundary of the social. While, in principle, antagonism and recognition are opposed, one can advance the hypothesis that the clash between identities, however irreconcilable, always assumes a form of mutual recognition. In this sense, the antagonism conceptualized by Laclau excludes processes like genocide, in which the existence of the other is (literally) negated. It assumes that the opponent is constructed as such. 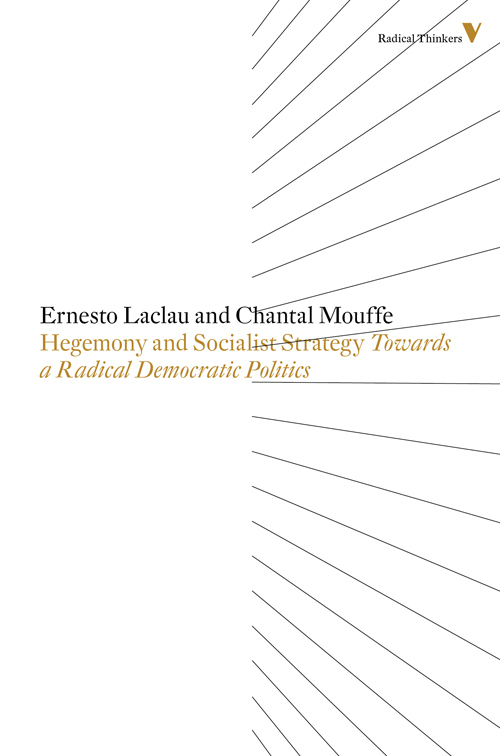 The political theory developed by Laclau is set out in two major books: Hegemony and Socialist Strategy, subtitled Towards a Radical Democratic Politics and co-authored with his companion, the Belgian philosopher Chantal Mouffe, and published in 1985; and On Populist Reason, published in 2005. 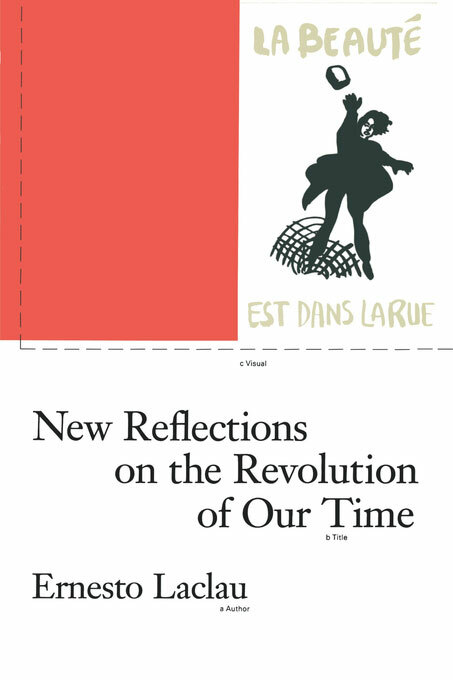 Among his other works we may cite Politics and Ideology in Marxist Theory (1977) and New Reflections on the Revolution of Our Time (1990). 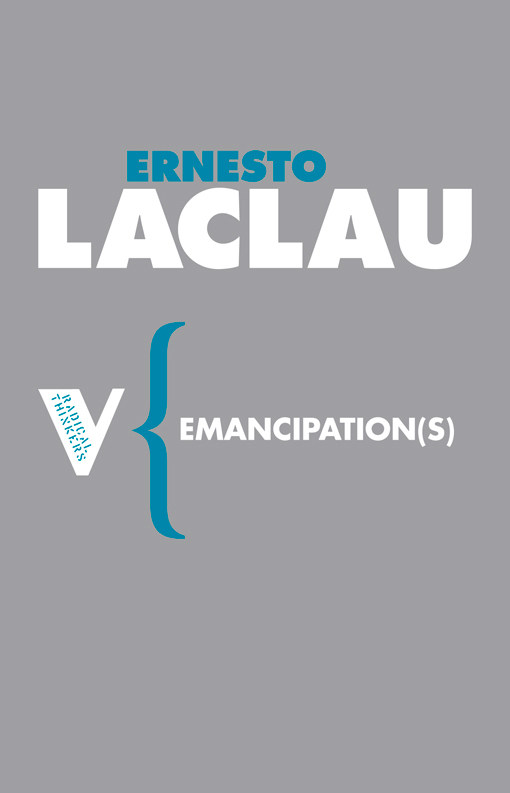 Laclau is an exemplary case of a globalized critical thinker. A revolutionary activist in his youth in Argentina, he was for a time close to Jorge Abelardo Ramos, the founder of the Argentinian ‘National Left’. His Latin American origins clearly inform his current conception of the political, especially the problematic of ‘populism’, which is heavily influenced by his experience of Peronism. But if Laclau sometimes takes a position on his country – recently extending his support to the government of Cristina Kirchner, for example – the intellectual space in which he mainly moves is the Anglo-American world. The publication in the mid-1980s of Hegemony and Socialist Strategy stimulated important debates on the radical Left. 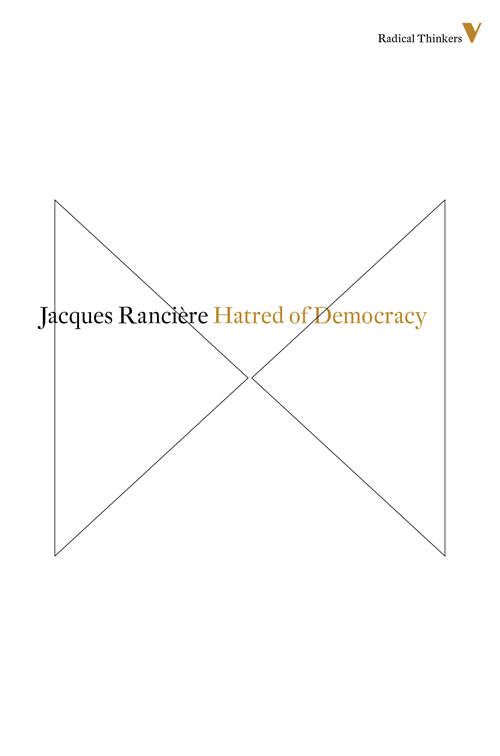 At the heart of Laclau and Mouffe’s analysis is the Gramscian concept of hegemony. 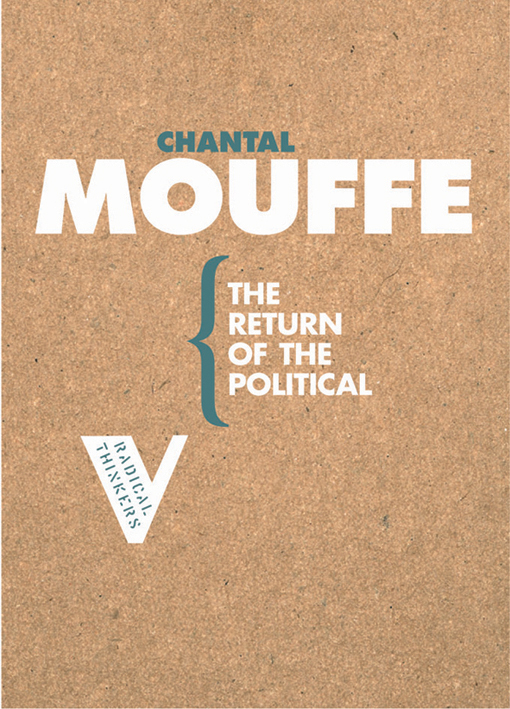 For Laclau and Mouffe, Gramsci is situated at a turning-point in the history of Marxism. 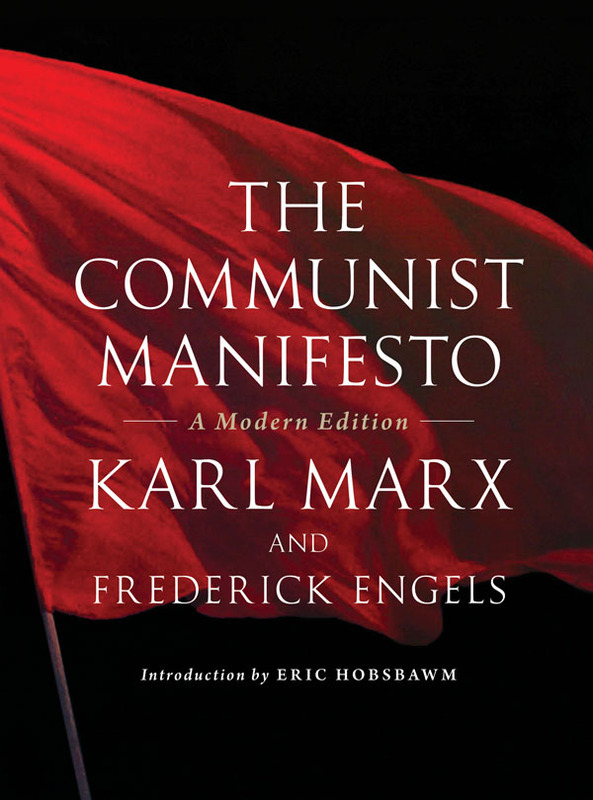 The author of the Prison Notebooks was conscious of the fact that some of Marxism’s key theses had been weakened by the development of capitalism. Hopes of revolution in Western Europe had been disappointed. What is more, an ‘organized’ capitalism emerged in the early twentieth century that Gramsci was one of the first (in 1934) to baptize ‘Fordism’, and which was different from the ‘liberal’ capitalism of the belleépoque. One of the consequences of this new kind of capitalism was the growth, contrary to every (Marxist) expectation, of the category of intermediate cadres, bureaucrats and ‘intellectuals’ of every kind. 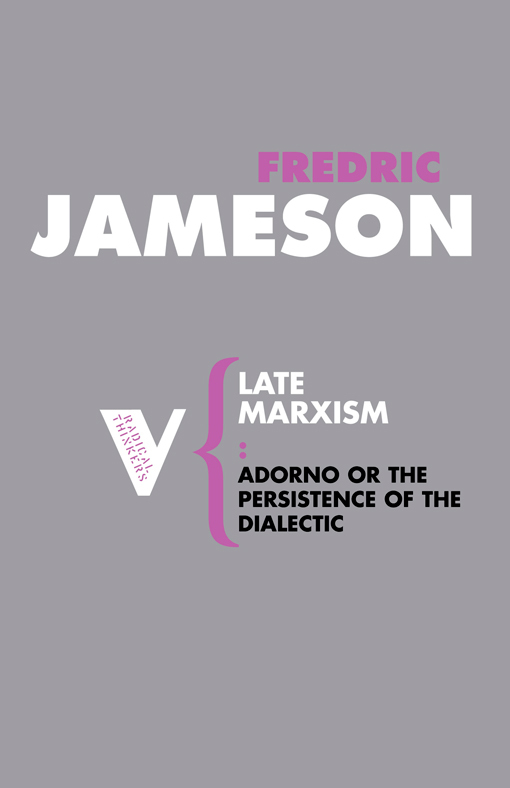 The introduction of the notion of hegemony into Marxism prior to Gramsci made it possible to revise and adapt this doctrine in accordance with these trends, without calling into question its basic presuppositions. Hegemony makes it possible to grasp the increasing importance of ‘cultural’ factors in social relations, since it refers to the ‘moral’ ascendancy of one sector of society over the rest. It also makes it possible to apprehend each political situation in its uniqueness. In the classical Marxists, hegemony (or neighbouring concepts) is essentially a strategic concept. It intervenes for the purposes of thinking cases where the proletariat must make alliances with other classes – the bourgeoisie, the peasantry, the middle classes – while ensuring that their general dynamic is conducive to its interests. It changes nothing in the centrality of social classes in the Marxist view of the world, or the fact that the class which is the vector of historical change is the working class. In Gramsci, hegemony assumes a different sense, which profoundly changes the Marxist ontology: ‘For Gramsci, political subjects are not – strictly speaking classes, but complex “collective wills”; similarly the ideological elements articulated by a hegemonic class do not have a necessary class belonging.’ According to Laclau and Mouffe, Gramsci initiates the gradual emancipation of the concept of hegemony from that of class. This emancipation will reach its conclusion in their own theory. The ‘collective wills’ mentioned by Gramsci possess two main characteristics. The first is that they are contingent – that is, they are not predetermined by the socio-economic interests of the actors involved. In other words, they are formed in the framework of power relations and on the occasion of concrete social struggles. Moreover, the sectors ‘articulated’ in the context of a hegemonic formation can be of various kinds. They can involve parties and trade unions, but also territorial communities, ethnic groups, or collectives of uncertain identity that construct an identity appropriate to the occasion for the struggle. For Laclau and Mouffe, despite the separation of hegemony from social classes inaugurated by him, Gramsci does not completely abandon some fundamental aspects of Marxism. In particular, what they call an ‘essentialist core’ persists in his writings, which ultimately grounds hegemony in a monocausal logic referring to the class position of the sectors involved. 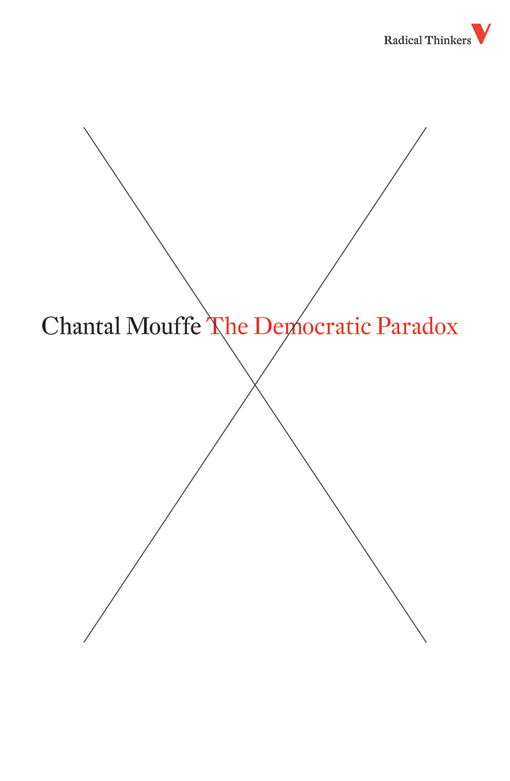 Laclau and Mouffe propose to take the theoretical move initiated by Gramsci to its conclusion and definitively abandon the centrality of classes. The latter can certainly be important depending on the circumstances. But the primacy allocated them by Marxism in principle is dismissed by Laclau and Mouffe. Several reasons lead them to this conclusion. Firstly, according to them, the social world has been becoming more complex since at least the eighteenth century, rendering it ever more heterogeneous. Far from being consolidated, as forecast by Marxism, the class position of individuals has consequently become more ambiguous. In addition, the industrial working class, once unavoidable in the structuration of social conflicts, has lost its centrality. It has decreased demographically over recent decades. 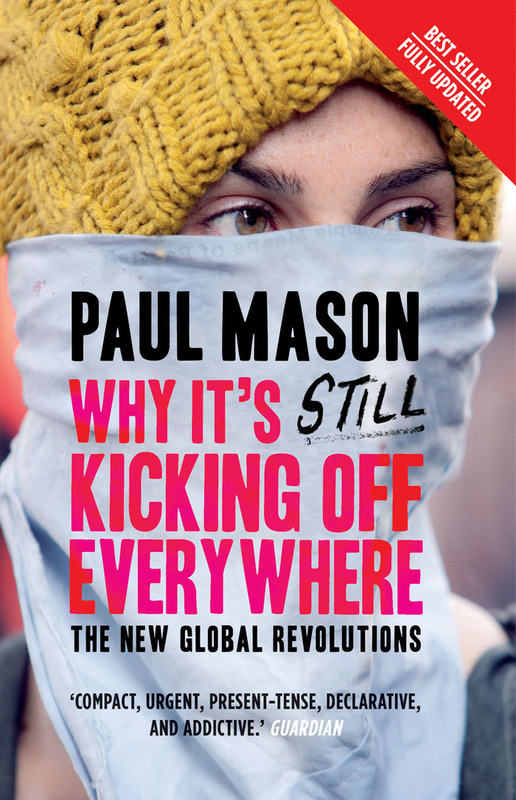 The emergence of ‘new social movements’, which Laclau and Mouffe invoke in the same way as Fraser, implies that conflictuality is no longer necessarily organized around economic demands bound up with work. 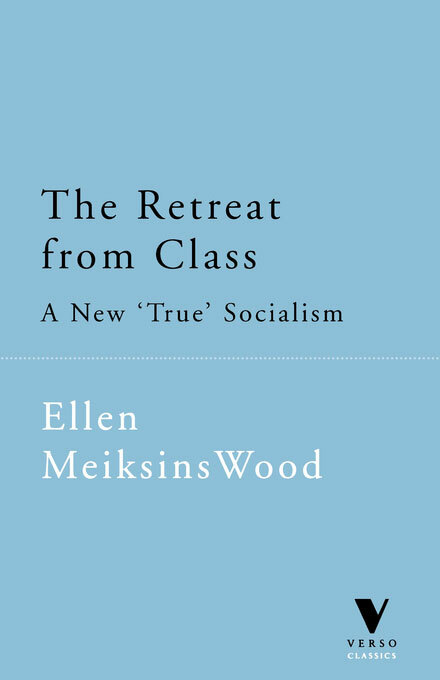 At a more fundamental epistemological level, Laclau and Mouffe criticize the ‘class essentialism’ present in Marxism. Their stress on the contingent character of social groups indicates that they adhere to a form of sociological ‘indeterminism’, according to which the (relative) coherence of actors is always constructed in the course of action and not a priori. Laclau and Mouffe defend a clearly anti- essentialist standpoint. Abandonment of a class perspective has as its correlate the importance of the notion of antagonism in Laclau and Mouffe: ‘Once its identity ceased to be based on a process of infrastructural unity... the working class came to depend upon a split from the capitalist class which could only be completed in struggle against it... “[W]ar” thus becomes the condition for working-class identity’. If no ‘essence’ underlies the social, the entities that develop in it are necessarily relational – that is, they are constructed with respect to one another or against one another. Interestingly, Laclau and Mouffe maintain that Sorel was the first to develop a conception of the world based on the primacy of conflict. Sorel had a decisive impact on the thinking of Gramsci, who in particular adopted the notion of ‘historical bloc’ from him. Influenced by Nietzsche and Bergson, Sorel attests to the existence within Marxist and post-Marxist traditions of a ‘vitalist’ tendency. Laclau and Mouffe are in some respects inheritors of this tendency. 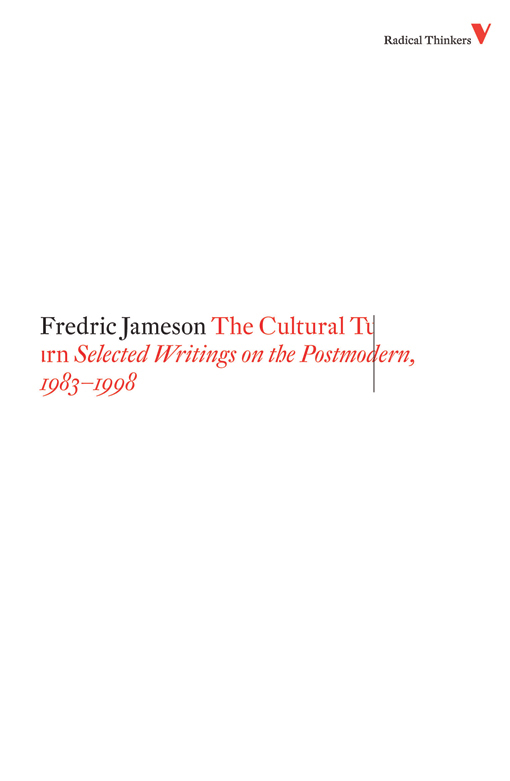 Their approach can also be conceived as a radicalization of E.P Thompson’s viewpoint. 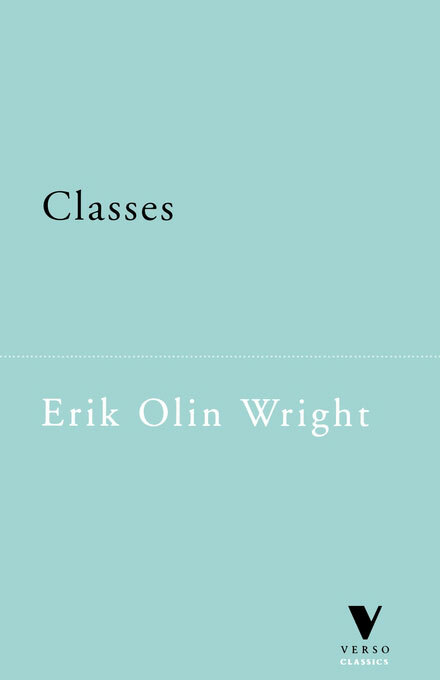 Thompson insists on the fact that class consciousness (‘experience’) matters as much as, if not more than, the socio-economic condition of workers in determining their class belonging. Like Laclau, he conceives social groups in relational terms – that is, more precisely, in oppositional terms. The difference is that Thompson does not therewith deny that social classes have an objective existence, whereas Laclau abandons this idea. 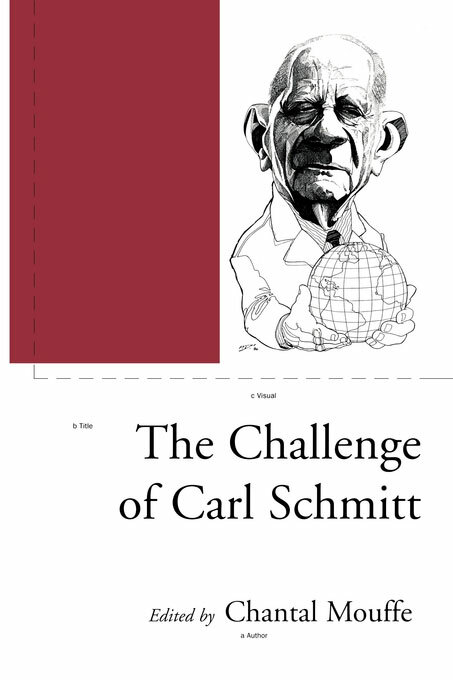 In his view, there is no a priori element making it possible to determine where antagonism is going to emerge. It can be constructed anywhere. 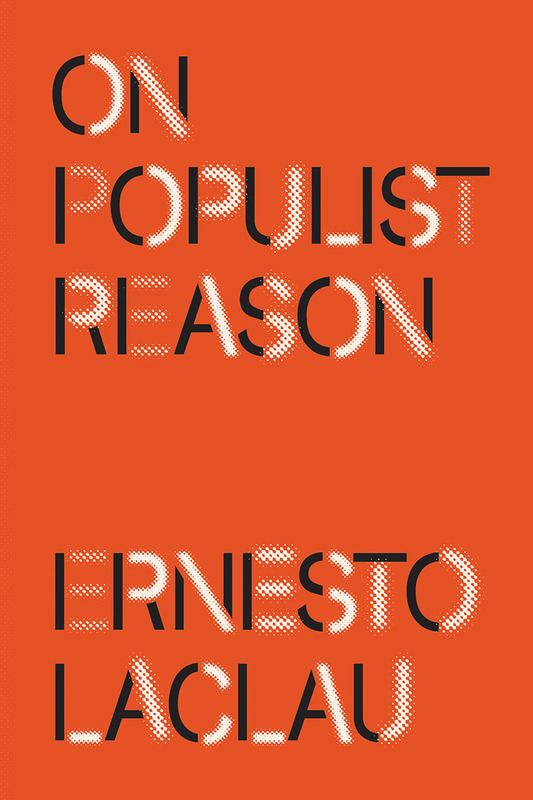 On Populist Reason, which appeared simultaneously in English and Spanish in 2005, is one of the most widely discussed critical works at present. It is particularly so in Latin America, where Laclau’s theses resonated with the experience of the ‘progressive-populist’ regimes that emerged in the early 2000s – namely, Hugo Chávez’s Venezuela, Evo Morales’ Bolivia and Rafael Correa’s Ecuador. The emergence of these regimes is to be related to the long-term history of Latin America, which has already had experience of similar regimes in the past. Among them we find Peronism, a specifically Argentinian movement that arose in the late 1940s and which structures the country’s political life to this day. 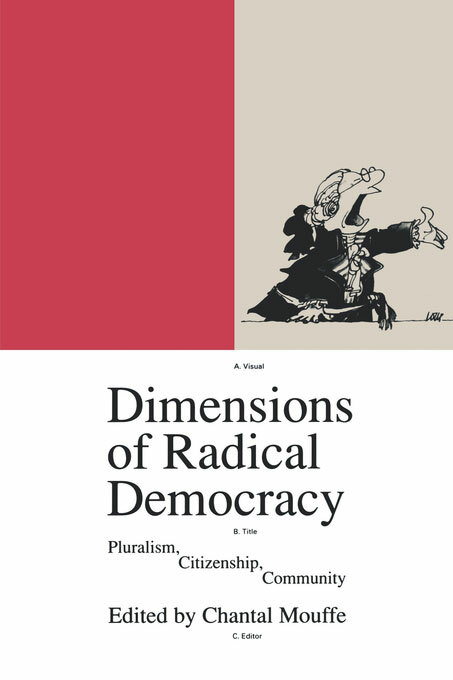 The elusive character of this current in many respects – the difficulty of locating it on the traditional coordinates of modern politics – is one of the elements that led Laclau to examine the populist phenomenon. Generally speaking, Laclau’s objective is to rehabilitate this phenomenon, habitually regarded as negative. In his view, populism is nothing other than one of the forms assumed by the political in modern democratic societies. More precisely, it is a condition for deepening the central value that governs the latter – namely, equality. In the beginning was the radical heterogeneity of the social world. For Laclau the latter is characterized by the multiplicity and fragmentation of its components, whose identity is constantly fluctuating. The heterogeneity of the social goes on increasing as societies become more complex. To designate this phenomenon, Laclau uses the phrase ‘logic of difference’. Diverse social sectors issued from the economic sphere (trade unions), the community sphere (ethnicities), or others interact with the existing government and institutions, making demands that are specific to them. These demands are sometimes met, in which case the relevant sector goes on engaging in its activities normally. But it can happen that, on grounds of expediency or principle, government and institutions refuse to meet these demands. It is then that the logic of difference is liable to be transformed into a ‘logic of equivalence’. The specific character of demands stops being such once they meet with rejection from government. They now possess at least one characteristic in common – that of having been rejected – which creates the conditions for an alliance between them. Populism is ready to make its entrance. Its precondition is the transformation of sectional particularisms into more general demands, which are inscribed in a ‘chain of equivalence’ creating the link between them. An ‘internal boundary’ is then created within the community, which separates the held of power from that of the sectors whose demands have not been met. This boundary, Laclau says, transforms the plebs into the people. The people are always constituted as such in opposition to an adversary – for example, in the case of Peron’s, the ‘oligarchy’. To that end, the people often requires its demands to be embodied in the figure of a populist leader. Laclau’s use of the notion of ‘plebs’ – originally, the Roman little people, opposed to the patricians - is similar to that of ‘multitude’ by Hardt and Negri. Moreover, we note a proliferation in contemporary critical thought of old concepts from Greek or Latin. No doubt it attests to the difficulty in identifying subjects of emancipation in the present conjuncture. 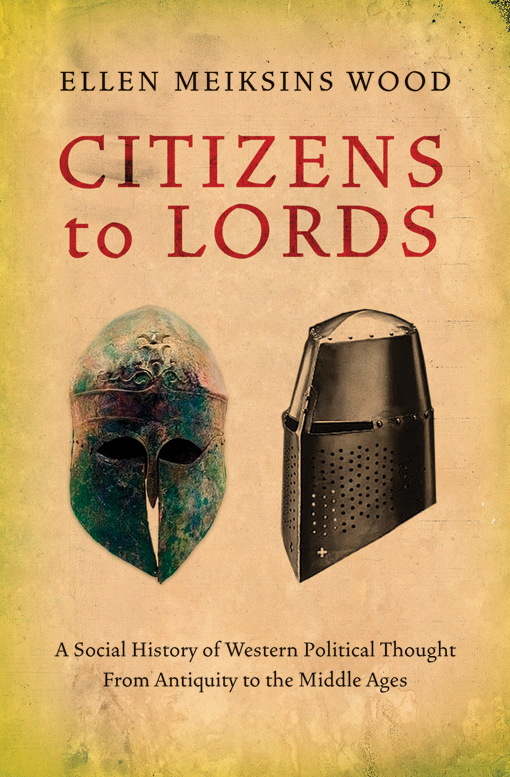 The notions of ‘plebs’ and ‘multitude’ both refer to indistinct or uncoordinated conditions of the population, composed of irreducible particularisms, and not yet forming a veritable political subject. In Laclau, the transition from the plebs to the people via the transformation of the logic of difference into a logic of equivalence heralds the formation of such a subject. 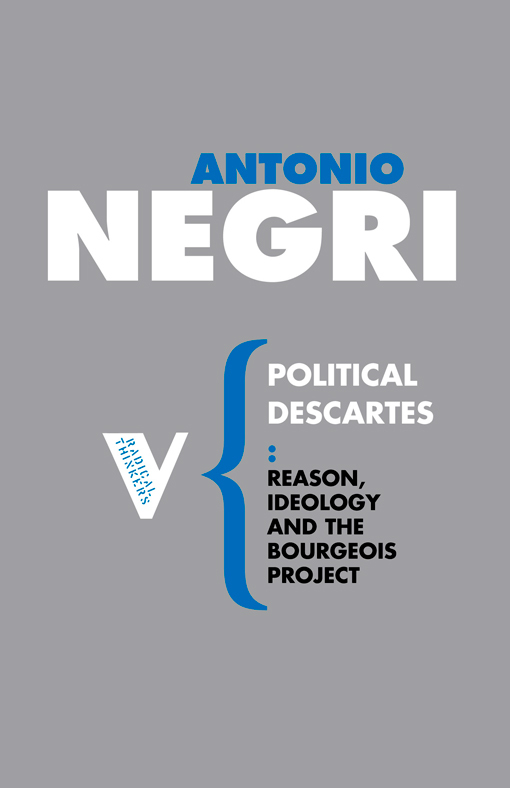 We may note in passing that in Negri, the multitude’s mission is to remain a collection of singularities, which never becomes a people, because for him the people is the multitude whose potential has been subjugated by the state. Populism presupposes the intervention of what Laclau, following certain structuralists and poststructuralists – among them Lévi-Strauss and Derrida – calls ‘empty signifiers’. Empty signifiers are symbols, notably but not exclusively linguistic, invested with a different meaning by each sector incorporated into a chain of equivalence. For example, the meanings attached to the idea of ‘equality’ in French history, in revolutionary periods as well as those of the routine functioning of institutions, are countless. Likewise, in Argentina in the early 1970s, the demand for the ‘return of Peron’ from his Spanish exile had a different meaning for each sector of Peronism, as indicated by the shoot-out between them at Buenos Aires airport when the general’s plane landed in 1973. According to Laclau, it is indispensable that populist signifiers be empty. Were their content fixed, they would be able to embody the imaginary or the interests of only one sector of society. It is precisely its ability to rally different sectors that characterizes populism. 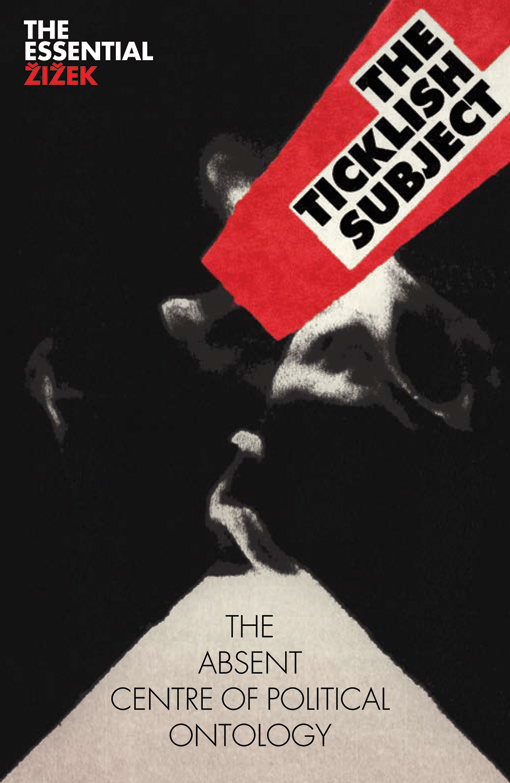 It may be that the content of the signifier originally emanated from a fraction of the population. But as the chain of equivalence is extended, it undergoes a process of abstraction that empties it of its substance and allows it to be invested with diverse significations. This leads Laclau to affirm, like Rancière, Badiou and Žižek, that the universal does indeed exist, but that it is an ‘empty place’. A third indispensable element in the emergence of populism is obviously a form of hegemony. 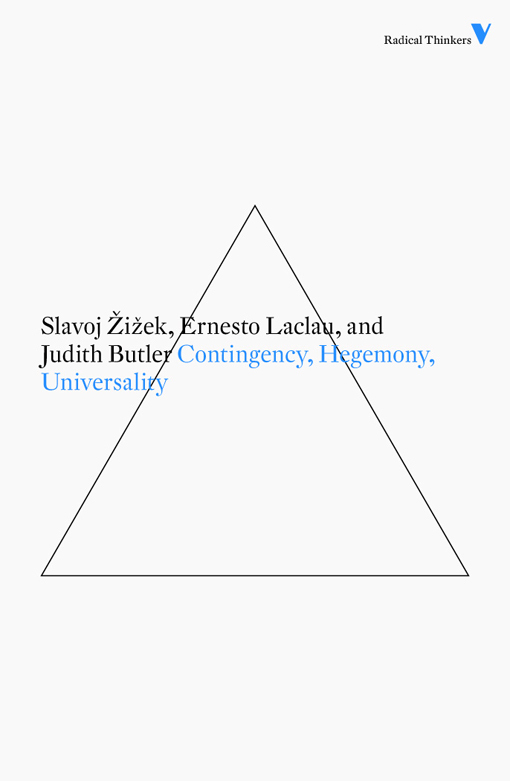 This is defined by Laclau as a universal contaminated by particularisms, or as a unity constructed in diversity. In On Populist Reason, hegemony is conceived in the form of synecdoche. Synecdoche is a rhetorical figure that consists in taking the part for the whole or conversely (it involves a form of metonymy). In Laclau’s theory of populism the notion refers to cases where part of the social totality is substituted for the totality and speaks in its name. When the Bolivian or Mexican natives intrude into their respective national political fields, they do not merely aspire to find a place in the existing political order. They disrupt this order and claim to be the true repository of national legitimacy. They speak in the name of the whole community, not only in that of their interests. For Laclau such is the basic hegemonic operation: ‘in the case of populism... a frontier of exclusion divides society into two camps. 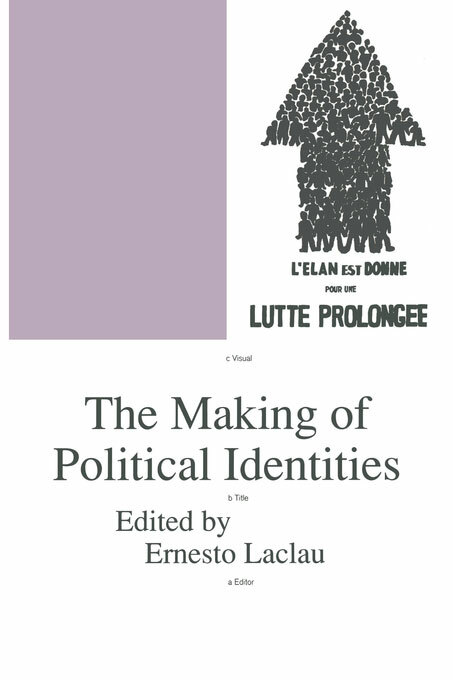 The “people”, in that case, is something less than the totality of the members of the community: it is a partial component which nevertheless aspires to be conceived as the only legitimate totality.’ Here Laclau approximates Rancière, to whom he explicitly refers. 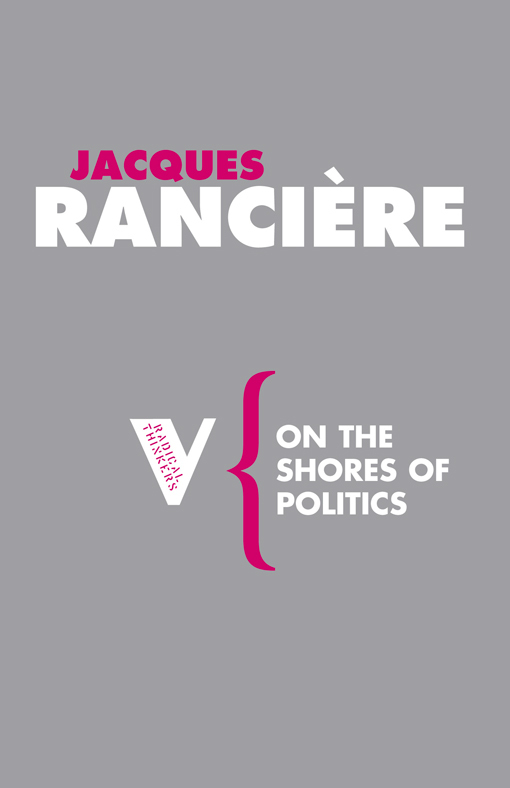 It will be remembered that for Rancière the ‘wrong’ of which they are the victims permits those ‘without a part’ to speak in the name of the whole community. Laclau is not saying anything different. Hegemony consists in speaking for the community from one of the ‘camps’ separated by antagonism. That is what populist logic consists in; and for Laclau it ultimately merges with political logic tout court. Ernesto Laclau and Chantal Mouffe, Hegemony and Socialist Strategy: Towards a Radical Democratic Politics, London and New York: Verso, 2001. 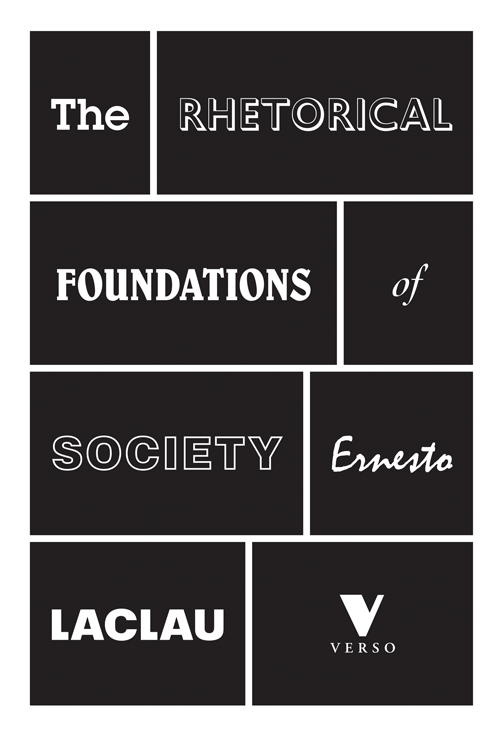 There is a specifically Argentinian Gramscian tradition of which Laclau is a representative. See Antonio Gramsci, Selections from the Prison Notebooks, ed. and trans. Quintin Hoare and Geoffrey Nowell Smith, London: Lawrence and Wishart, 1971, Part II, chapter 3. On the concept of hegemony, see Perry Anderson, ‘The Antinomies of Antonio Gramsci’, New Left Review, I/100, November 1976–January 1977. Laclau and Mouffe, Hegemony and Socialist Strategy, p. 67. ibid., p. 39. The centrality of antagonism in Laclau recalls that attributed by Schmitt to the opposition between ‘friend’ and ‘enemy’ in his characterization of the political. This extract was originally published in The Left Hemisphere.